The GMAT (Graduate Management Admissions Test) is a test designed to supplement the information that admissions officers receive when you apply to MBA programs. The GMAT has four distinct section types in independent timed sections. The Analysis of an Argument asks you to write a logical analysis of a text. You are given 30 minutes to write the essay. The Integrated Reasoning section is a 12-question section lasting 30 minutes. Questions are a mix of logic and reasoning and data analysis, and involve texts, interactive tables and data. The quantitative section is an hour and 15 minutes and has 37 questions. Topics range from arithmetic to statistics. There are two question types, Problem Solving and Data Sufficiency. The verbal section is an hour and fifteen minute section with 41 questions. There are three question types: Critical Reasoning, Reading Comprehension, and Sentence Correction. The GMAT is required by most MBA programs as part of their admissions processes, certainly by those at the top of the rankings. Check the application requirements of the schools you are applying to. But if you plan to apply to MBA programs, you will probably need to do this exam. Should I prepare for it? Can I prepare it on my own? Do I need to take a course? You should definitely prepare for it, whether you choose to study on your own or take a course. 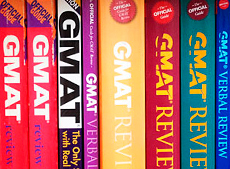 High GMAT scores take work, and getting a high score means knowing the exam well. It is essential that you be familiar with the exam before you take it. You may not need to take a course to get the score you need, but taking a course is certainly a valid option. My colleague, Kevin Armstrong, has been specializing in GMAT preparation for over ten years and is a GMAT exam expert, the same as me. Courses are offered all year long on week nights and weekends. Additionally, periodic intensive programs are offered for those students that do not have the schedule flexibility to follow a four-week course. I am also available for one-to-one tutoring.